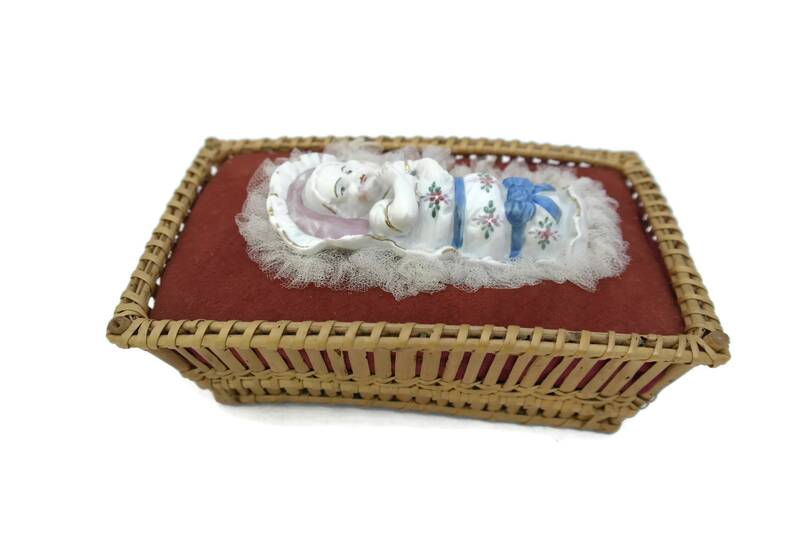 Antique Porcelain Baby doll in Wicker Crib. German Hand Painted New Born Figurine. Baptism Gift Souvenir. Baby Shower and Nursery Decor. 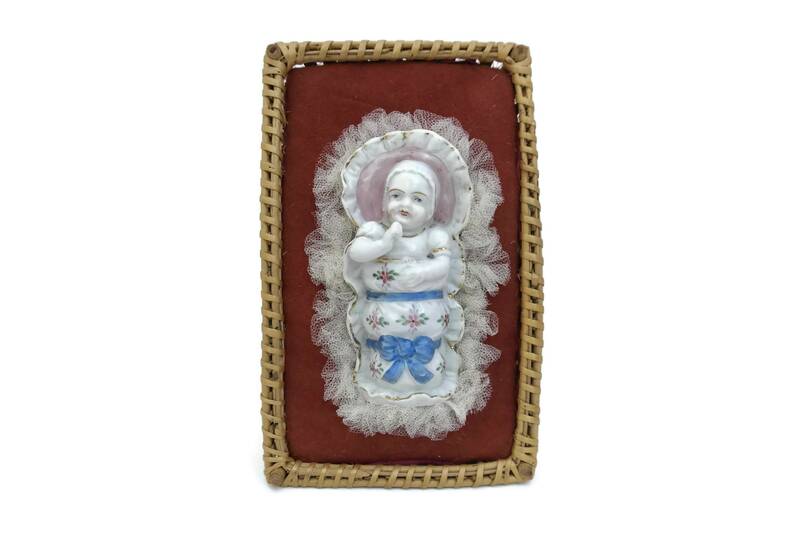 An exquisite antique porcelain baby doll in a wicker crib. 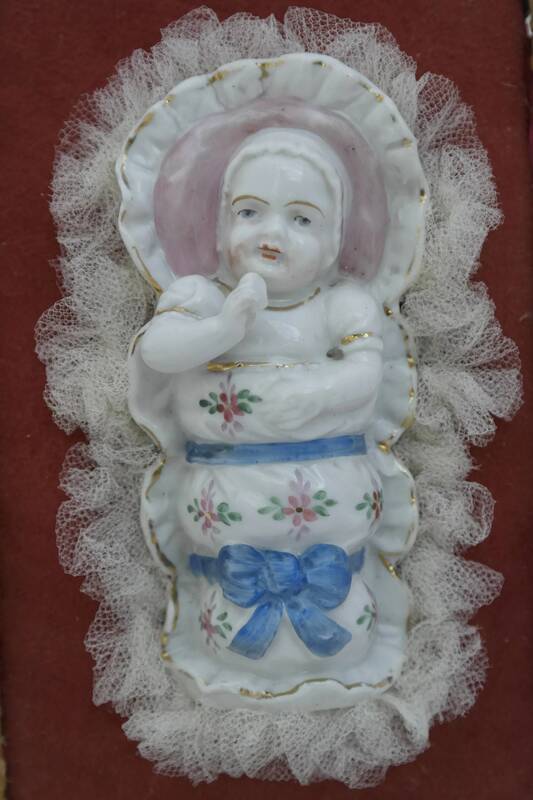 The porcelain figurine of the new born (probably German) dates from the late 1800s. 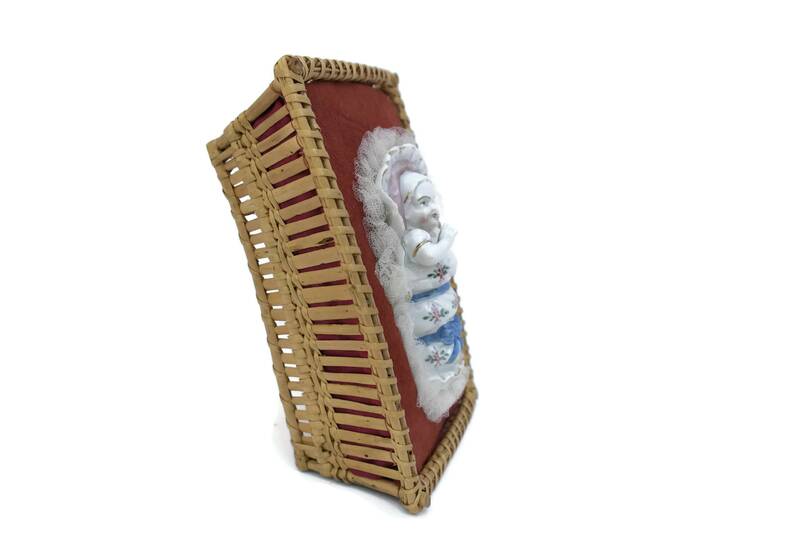 It features a hand painted porcelain baby laying on gilded ribbon edged bedding. 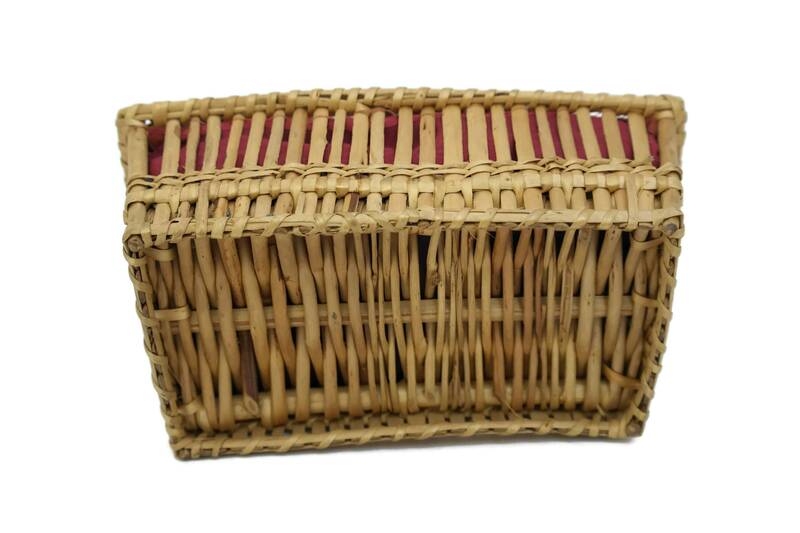 It has been added at a later stage on a russet sueded fabric and on a bed of tulle and inserted in a hand woven wicker basket. 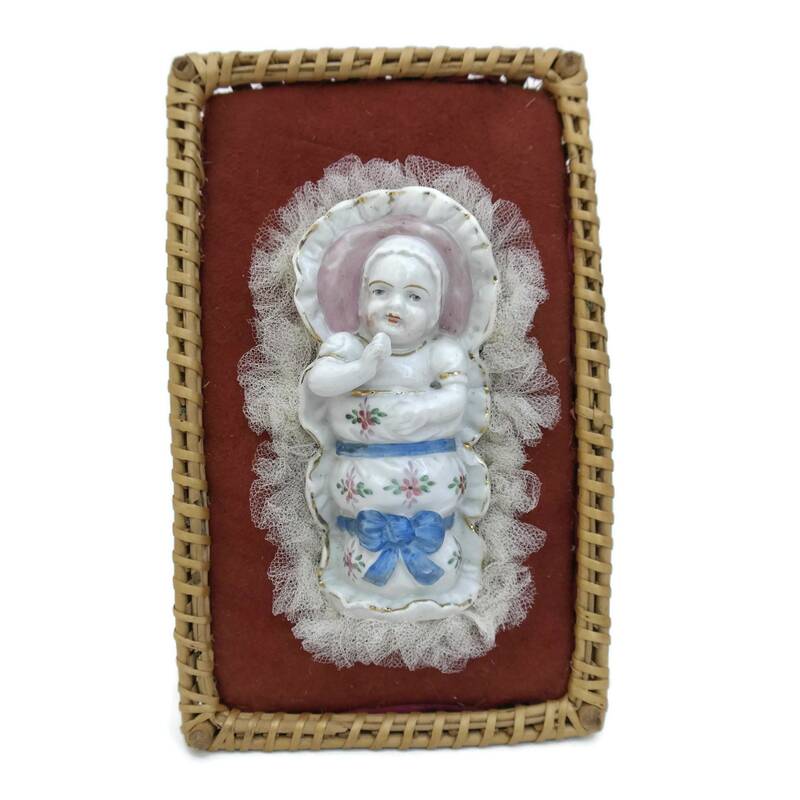 It will make an original baptism gift souvenir or add an antique touch to your baby shower or nursery decor. 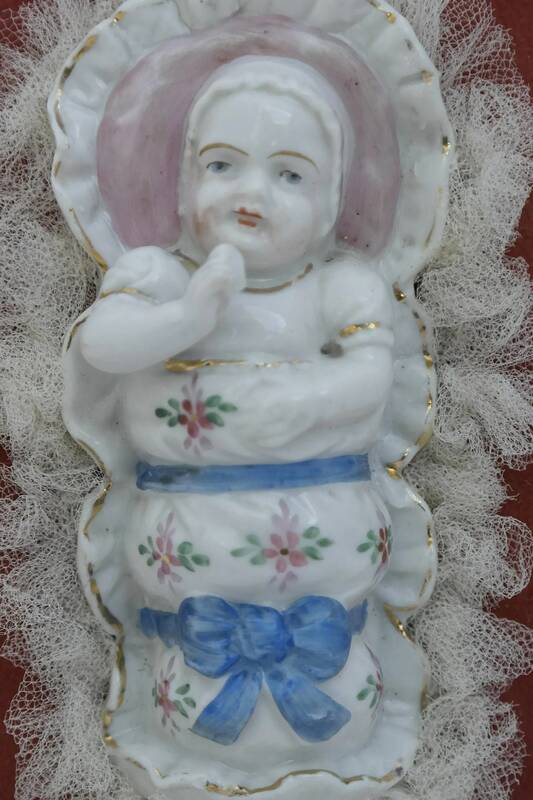 The porcelain new born figurine is 4 1/2" Long x 2" Wide (11,5 cm x 5 cm). 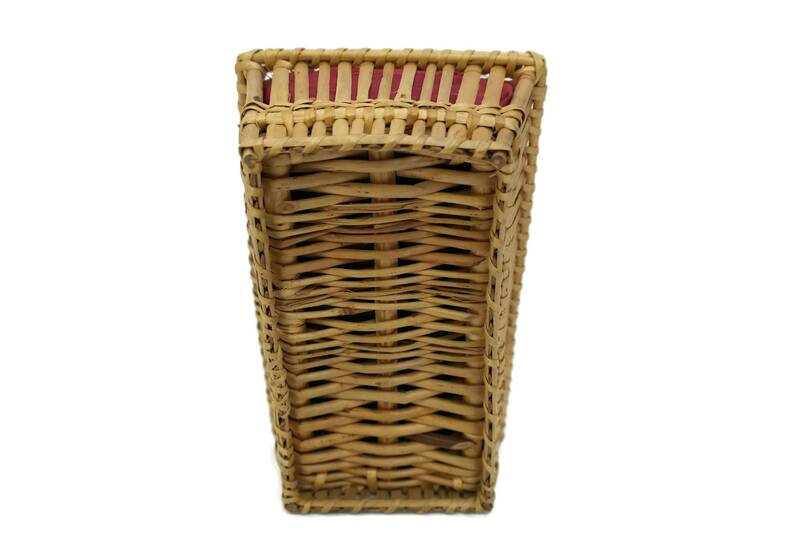 The wicker basket is 8" Long x 4 3/4" Wide x 2 1/2" Tall (20 cm x 12 cm x 6,5 cm). 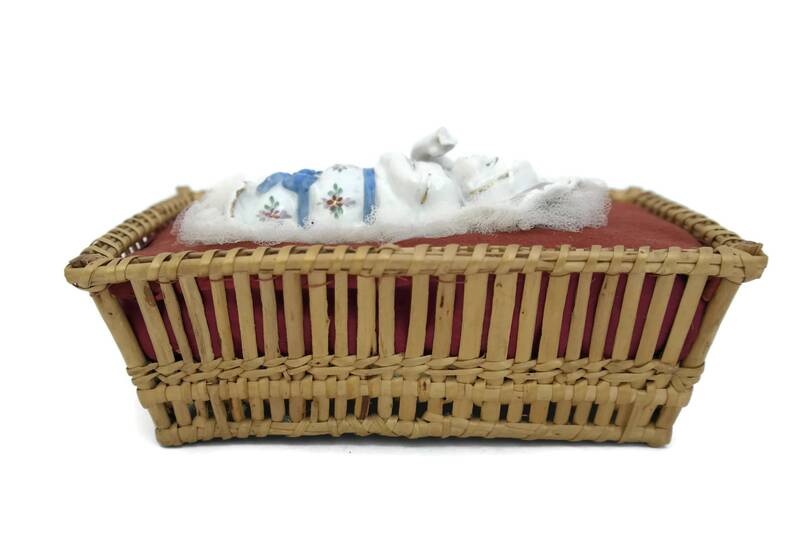 The porcelain baby doll and its wicker crib are in very good condition with light signs of age and wear. There is no cracks or chips on the porcelain figurine.